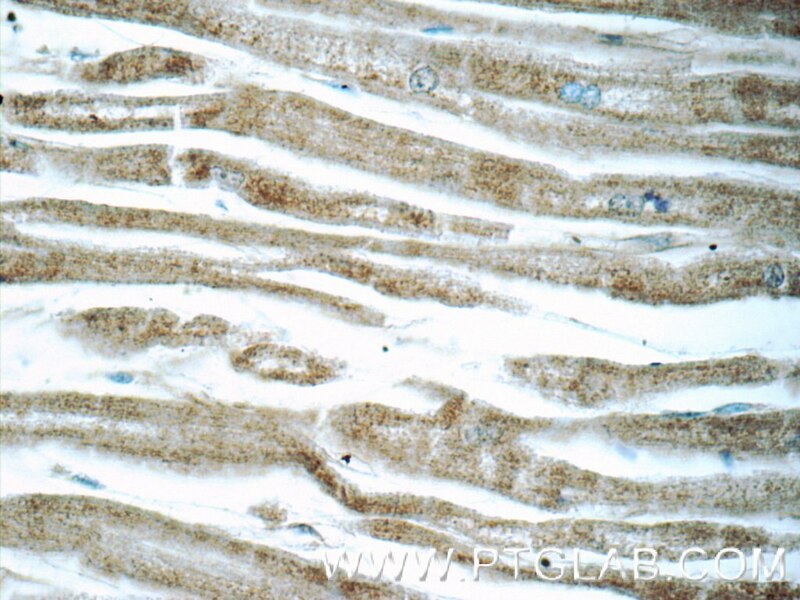 Immunohistochemical analysis of paraffin-embedded human heart tissue slide using 22303-1-AP( CCL18/MIP-4 antibody at dilution of 1:200 (under 10x lens). 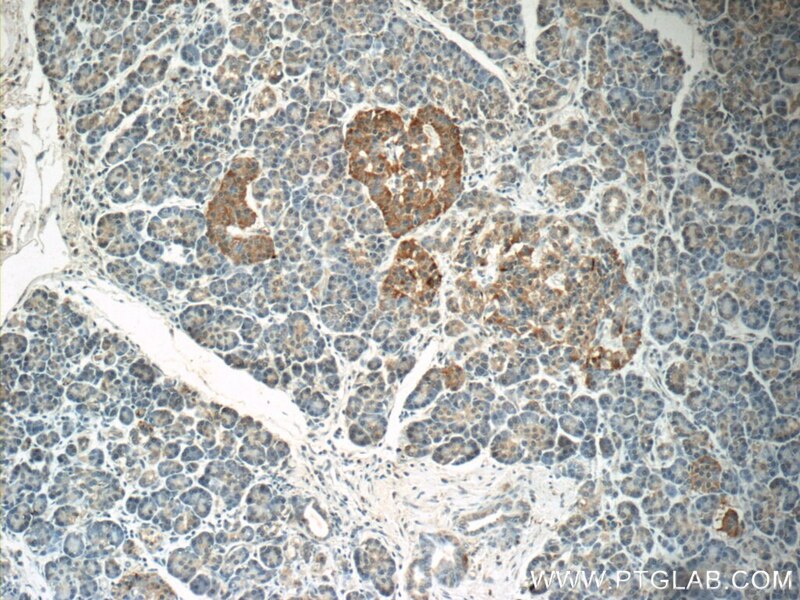 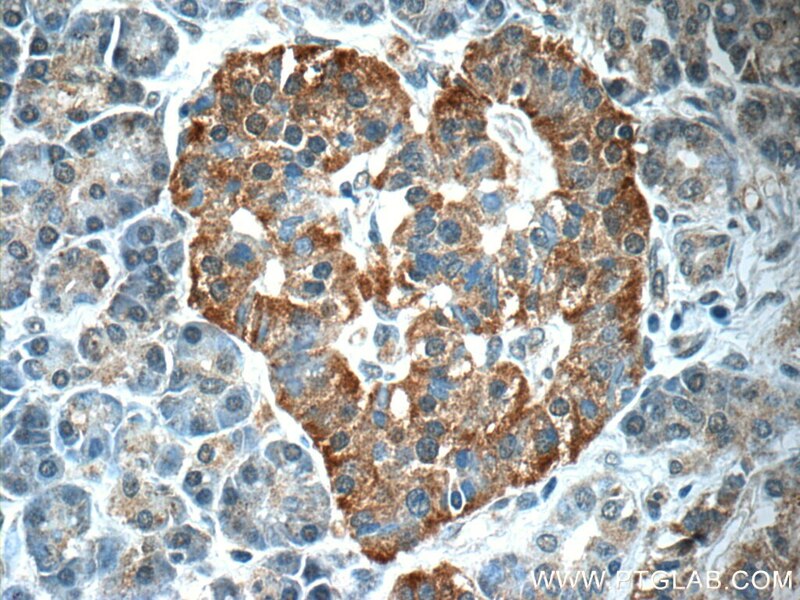 Immunohistochemical analysis of paraffin-embedded human heart tissue slide using 22303-1-AP( CCL18/MIP-4 antibody at dilution of 1:200 (under 40x lens). 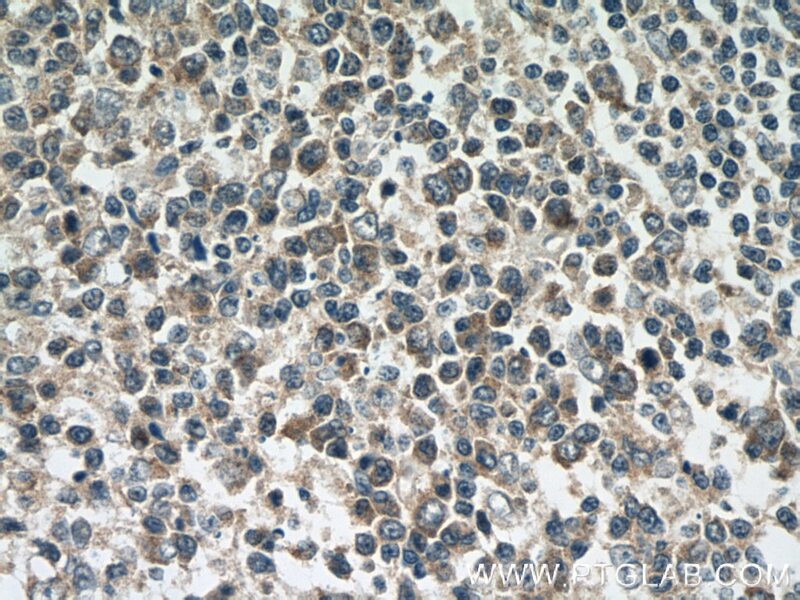 CCL18 is a small cytokine belonging to the CC chemokine family. 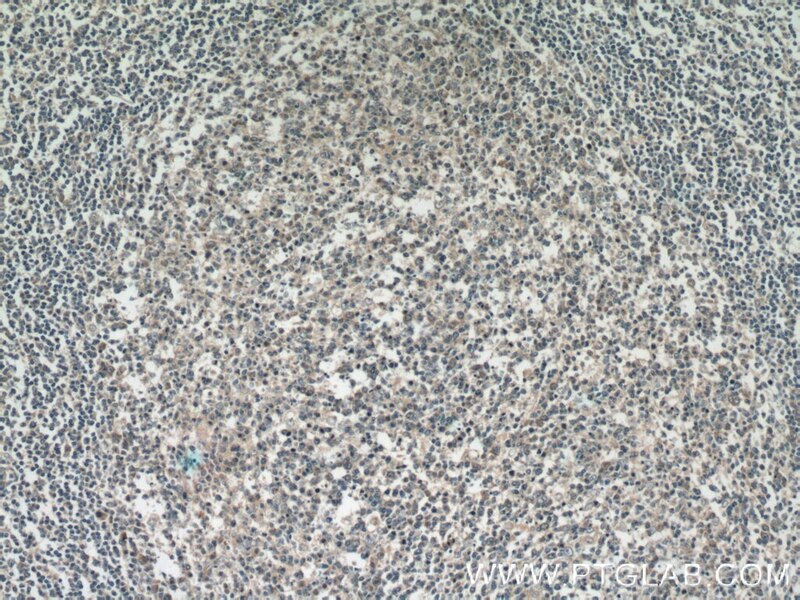 The effector functions that CCL18 exerts on the immune system is mainly on the adaptive immune system, while being produced and secreted mainly by innate immune system. 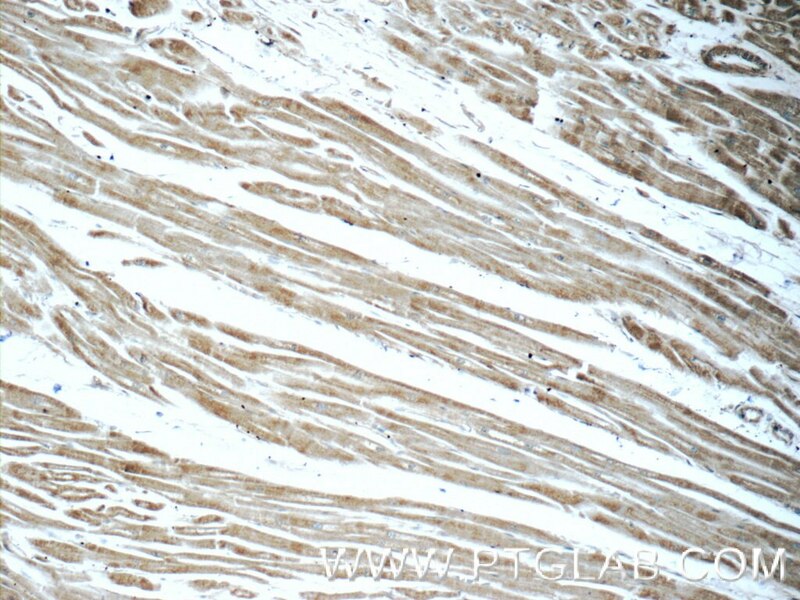 Although the functions of CCL18 have been well studied in vitro, physiological effects of CCL18 in vivo have been difficult to characterize because there is no murine analog of CCL18. 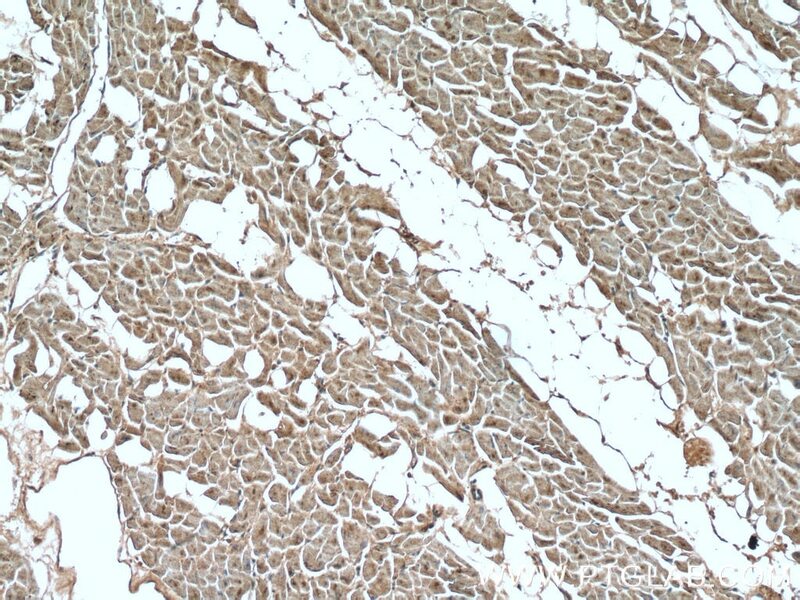 Only recently has the receptor for CCL18 been identified, and further characterization of CCL18 interactions with its receptor will lead to better understanding of the physiological role of CCL18 in humans. 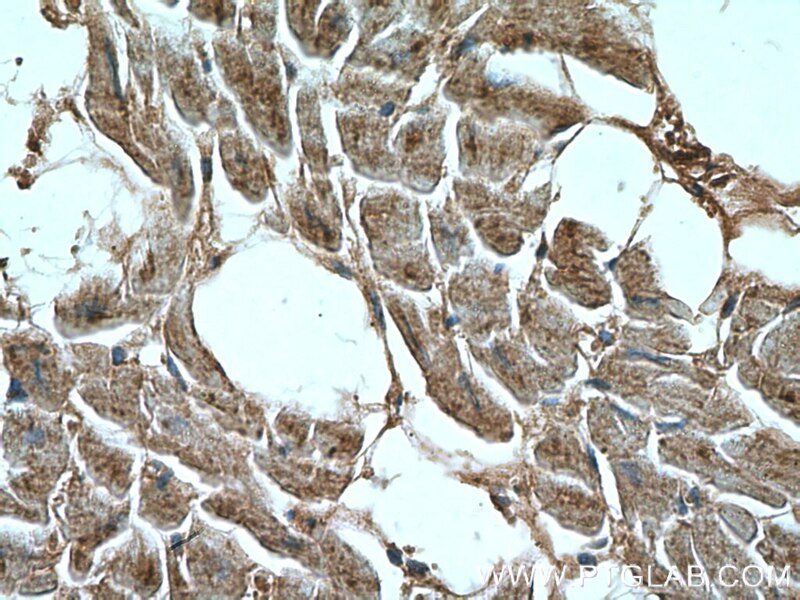 Surgical trauma-induced CCL18 promotes recruitment of regulatory T cells and colon cancer progression.